A business tycoon decides to wed a Middle Eastern princess whose customs dictate the pair must live apart for several months before marrying; even more complications settle in when the tycoon's ex-fiancée is assigned to chaperone the pair. Paroled London fraudster Marcus Pendleton (Sir Peter Ustinov) poses as a computer specialist in order to work for an insurance company that entirely relies on its corporate server. Ex-con Red O'Hara becomes a daring news photographer, but his old ways get him into trouble. Three stories of Egyptian locale: 1) Deals with murder and violence, 2) Pilgrimage to Mecca, and 3) Comedy about desert life. First American picture filmed entirely in Egypt. The misadventures of two social-climbing women in small town America. 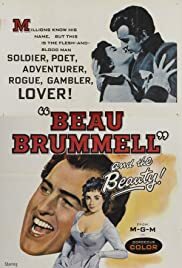 George Bryan 'Beau' Brummell: Who's your fat friend? Sir Peter Ustinov has always been a good actor, even fifty years ago, I noticed when I spotted this movie on television. Is he really so small? Or did they just put so many tall actors around him? I don't know. However, this is not the right stuff for a movie. It's directed and acted like a stage drama and that's what it should be. Being a film, the old-fashioned plot isn't able to thrill. I was tired anyway and it was hard not to fall asleep.